His favourite snacks are squirrels and Asgardians! The spine-chilling sentient symbiote with its fanged smile and saliva-dripping tongue is a creature of nightmares. Its slippery, liquid form will give you goosebumps as it enslaves human hosts and takes over their body and mind. Venom is creepy as they come, and that's why he's been a fan-favourite for decades! 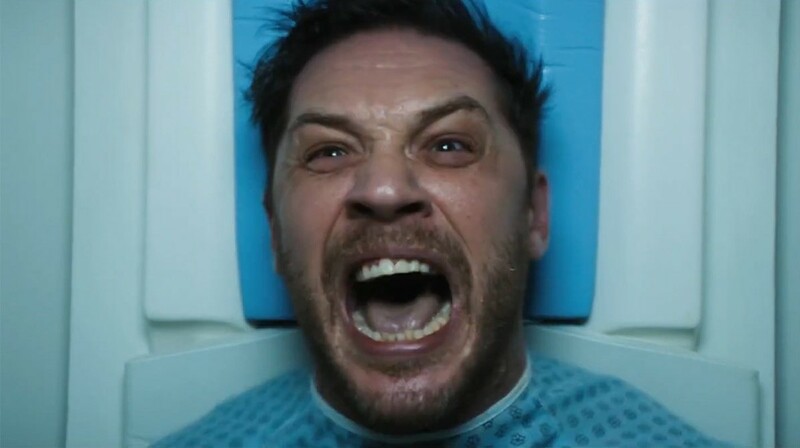 The film follows Eddie Brock (played by Tom Hardy), an investigative journalist who has been embroiled in scandal, as he attempts to revive his career. Brock is investigating the Life Foundation and comes into contact with an alien symbiote that bonds with him. Together they become an unstoppable dark force. 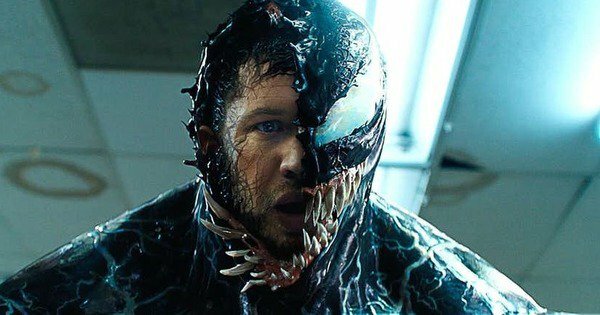 Looks like the iconic psychological battle between Eddie Brock and Venom is about to be taken to a whole new level in this film! Randy Schueller, a 22-year old fan, entered a Marvel competition in the '80s. His idea was that Reed Richards, the leader of the Fantastic Four, could create a new jet black costume out of Unstable Molecules for Spider-Man, which would increase all his abilities. 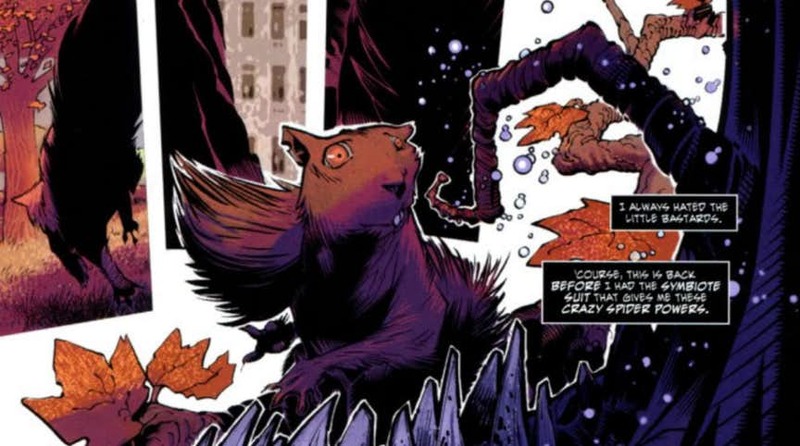 Schueller received $220 from Marvel's then editor-in-chief for his idea and a year later the powerful symbiote was released into the comic universe. While we don't know the exact details of Eddie Brock in this movie, from the comics we're told that Eddie's life is riddled with tragedy. Eddie's mother died during childbirth and his father blamed him for it. Desperate for his father's affections, Eddie would spend the rest of his life trying to impress his dad. But with a massive scandal surrounding his career in journalism, he ended up becoming a national disgrace. Obsessed with hatred, resentment, and revenge, Eddie lost everything, including his wife. It was when he was searching for a way to kill himself that he came face-to-face with the symbiote, which went on to consume him physically and mentally, forming Venom. Venom lacks a moral compass, making him completely unpredictable and totally horrifying. But with Eddie Brock fighting for his own survival as part of Venom, the character takes on new depths and complexities. Neither a superhero nor a villain, this anti-hero is extra disturbing because he believes he's protecting innocents - even though he willingly kills many of them. This causes Venom to mourn the people he gruesomely murders, showcasing how truly broken he's become as a human being. In the comics, Eddie Brock leaves New York and moves to San Francisco where he starts a new life as Venom. Calling himself 'The Lethal Protector', Venom vows to defend the homeless from real estate magnates who threaten to demolish areas inhabited by homeless people, security guards, gang violence, and even soldiers. 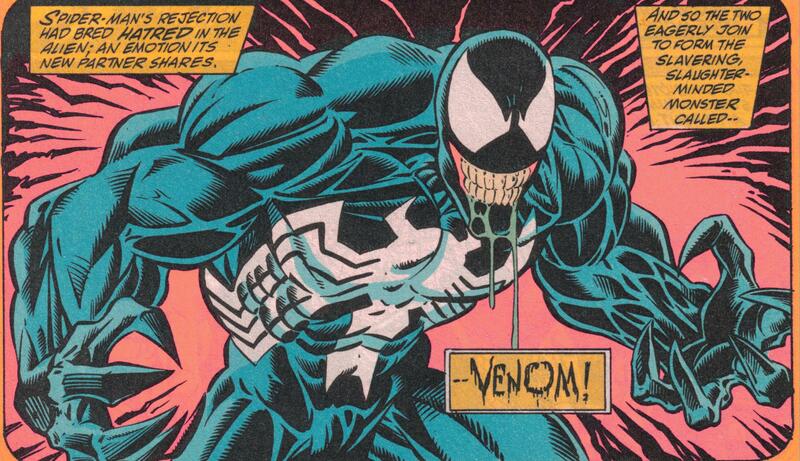 Of course, Venom's brand of justice is definitely not in line with your typical superhero. Most of his foes, guilty or otherwise, end up either dismembered or dead. What makes Venom so intriguing is that it isn't just Eddie Brock "wearing" the symbiote. 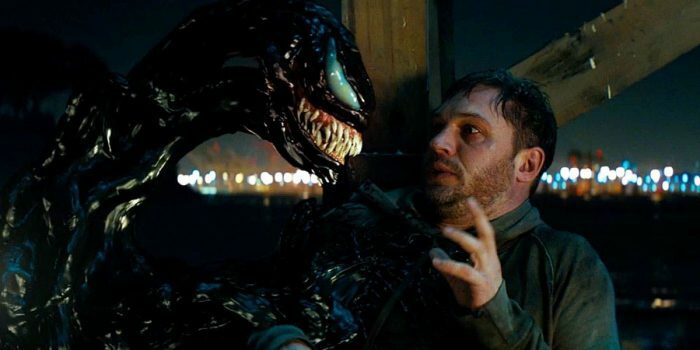 The line between Eddie's consciousness and the symbiote's inherent viciousness are blurred, and together they operate as a single entity that refers to itself as "we." Eddie and the symbiote are entangled in an emotional and psychological web that's difficult for both to escape. Eddie's inner demons are feeding the symbiote, meanwhile the symbiote is seducing Eddie with unlimited power. Who wins this ultimate battle? That's what we're excited to see! Not only is Venom a very complex character, he's also straight up psychotic at times. He's been known to have cannibalistic tendencies, has no restraint, and constantly gives in to his impulses. 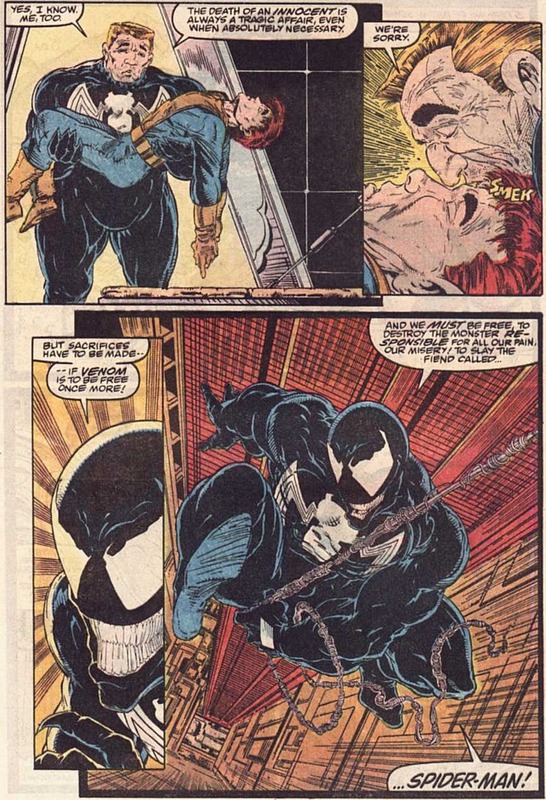 Before Venom was released to the public, longtime Marvel writer David Michelinie wanted the character to be a pregnant woman. Her origin story included her husband accidentally getting killed by a taxi driver who was distracted by Spider-Man. As she takes in the sudden death of her husband, she goes into labour on the street, with her baby ultimately dying. The symbiote would be drawn to the grief-striken mother, bonding with her, and thus Venom would be born. Unfortunately, this story idea was rejected because Jim Salicrup, a Marvel editor at the time, didn't think a woman would be credible as a threat to Spider-Man. In another twisted story arc, Eddie Brock's ex-wife Anne Weying succumbed to the symbiote's overwhelming powers and abilities. In the comics, Anne gets shot by a villain named Sin-Eater, so Eddie urges the symbiote to bond with her in a desperate bid to save her life. Seduced by the symbiote's dark side, Anne mutilates and kills her attackers. The resulting gore is so bad that Anne throws up and blames Brock. Unable to live with the consequences of She-Venom's actions, Anne ends up taking her own life. 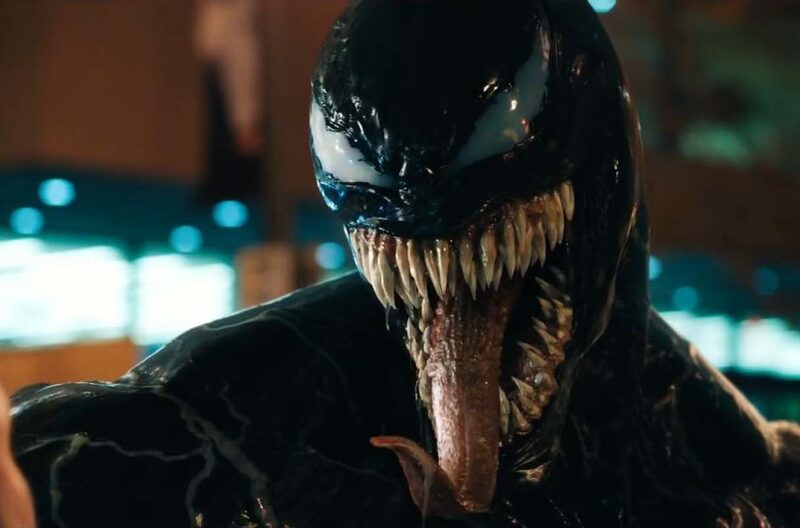 Venom's incredible strength, both physical and psychological, comes from the fact that the alien symbiote is the 998th generation of offspring in its bloodline. With each new generation, the symbiote grows in power. In the comic universe, the symbiote produces loads of offspring, the most famous of which is Carnage. Other offspring include Riot, Scream, Dreadface, Scorn, Payback, and Marcus. (Yes, Marcus.) Many of the offspring were created by The Life Foundation, an organisation creating "guardians" with the Venom symbiote. 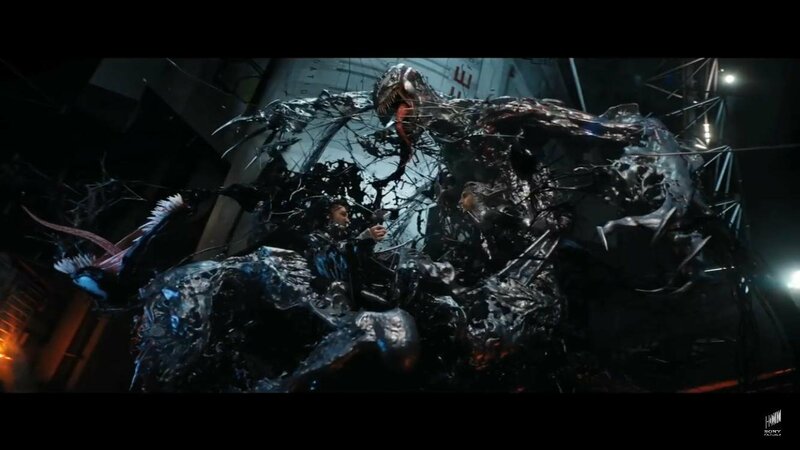 With the film centred around Eddie's investigation into The Life Foundation, fans are geared up for big action showdown between Venom and a symbiote offspring. Excited to watch 'Venom'? Catch it in cinemas nationwide on 4 October! We relate to James here on a spiritual level. And it takes place through the view of a multiple screens. It will be called 'The Cave'.